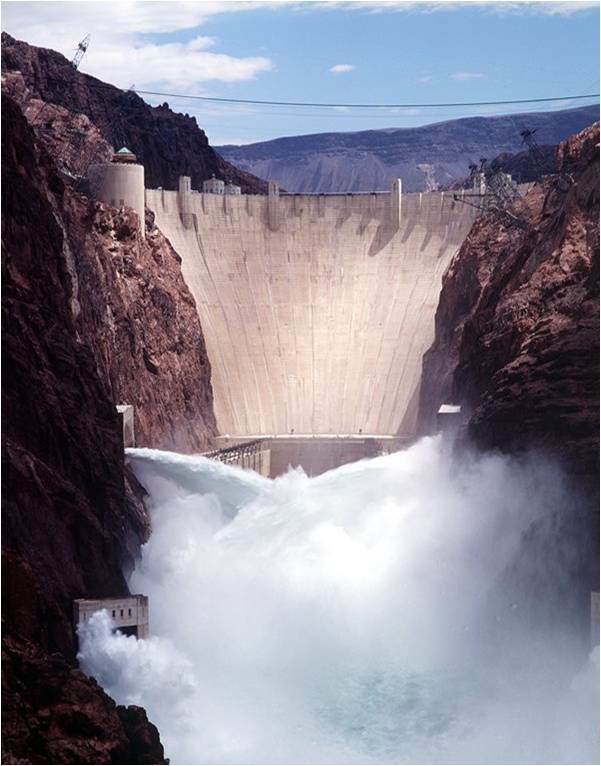 Some experts say there is a fifty per cent chance that Lake Mead, the giant reservoir behind the Hoover dam, could dry up in the next few decades. That grim gamble is a sobering possibility for us here in San Diego since Lake Mead stores Colorado River water, a prime source of water for much of southern California. Nearly a month after water filled the Warren H. Brock Reservoir near the Arizona-California border for the first time, the project’s builders got the news they wanted: It didn’t leak. So, they pulled the plug and let all the water out. Emptying the reservoir, dug out of the sand dunes about 25 miles west of Yuma, was as much a part of the final construction test as filling it and watching for leaks. This reservoir was built to be in motion: Get the water in, wait a few days, get the water out. The $172 million project is an attempt to seal decades-old leaks in the Colorado River‘s water-delivery system by capturing the dribbles lost downstream to Mexico when farmers in Arizona and California don’t take water they ordered, usually because rain filled the need. “We have to get serious about water,” Republican gubernatorial candidate Dan Maes said during a debate Saturday. And in The New York Times this morning, the water of the Colorado River Basin was one of the lead stories. “A once unthinkable day is looming on the Colorado River. The good news for the Lower Basin states, apparently, is that Colorado and other Upper Basin states are not using their full allotment. Even so, Lake Powell is within inches of reaching an all-time low level, set in 1956. LAKE MEAD NATIONAL RECREATION AREA, Nev. — A once-unthinkable day is looming on the Colorado River. Barring a sudden end to the Southwest’s 11-year drought, the distribution of the river’s dwindling bounty is likely to be reordered as early as next year because the flow of water cannot keep pace with the region’s demands. For the first time, federal estimates issued in August indicate that Lake Mead, the heart of the lower Colorado basin’s water system — irrigating lettuce, onions and wheat in reclaimed corners of the Sonoran Desert, and lawns and golf courses from Las Vegas to Los Angeles — could drop below a crucial demarcation line of 1,075 feet. 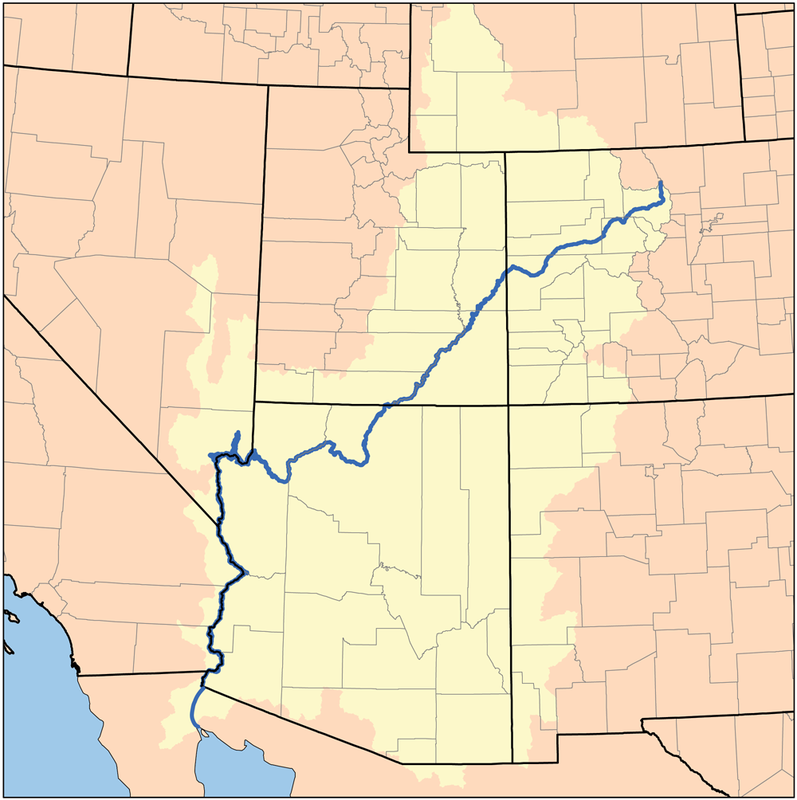 If it does, that will set in motion a temporary distribution plan approved in 2007 by the seven states with claims to the river and by the federal Bureau of Reclamation, and water deliveries to Arizona and Nevada would be reduced. Would curbing desert dust help the Colorado River? The dark dust thrown up by human activity in the deserts of the southwestern United States hastens the melting of Rocky Mountain snow and ultimately reduces the amount of water flowing into the upper Colorado River by around 5%, scientists reported Monday. The lost water amounts to more than 250 billion gallons — enough to supply the Los Angeles region for 18 months, said study leader Thomas H. Painter, a snow hydrologist at the Jet Propulsion Laboratory in Pasadena. “That’s a lot of water,” said Painter, whose study was published online by the Proceedings of the National Academy of Sciences. LAS VEGAS — A powerful Easter Sunday earthquake along the Mexico border has had ripple effects in Nevada, spurring international talks about future use of the Colorado River and the water level in Lake Mead. United States and Mexico federal officials met recently at the Southern Nevada Water Authority office in Las Vegas to discuss water shortage and sharing agreements between the two nations. Talks on the topic began in early 2008, but the 7.2 magnitude quake April 4 near Mexicali added urgency for Mexican officials because widespread damage to irrigation infrastructure might prevent that nation from using its full Colorado River allocation. Los Angeles denizens can rest assured that even if Arizona cuts off your power, you’ll still have water…. Rest assured, dear brothers to the West, your water is safe. I talked with Bob Barrett, spokesman at the Central Arizona Project, and he said that CAP won’t be turning off the tap or pulling in more water. It can’t. It’s against the law. “It would be a violation of federal law for one state to supply another state with water, or to take more water than they are allowed to take,” he said.